Mysore/Mysuru/Maisooru is world renowned for its 407 year old tradition of Dasara celebration, popularly known as 'Nadahabba' of Karnataka. Mysore is regarded as the cultural capital of Karnataka. The 'Aane Ambari' or 'Jumbo Savari' is a major attraction of the Mysore Dasara wherein the decorated elephants carry the golden howdah weighing about 750 kg, housing a beautiful murti of mother Chamundeshwari. The Royal couple of the Wodeyar family begin the festival celebrations by offering special puja to mother Chamundeshwari at the Chamundeshwari temple, atop the Chamundi hills. The celebration lasts for 10 days beginning with the first day of Navaratri and ending on the 10th day or Vijayadashami, the day that mother Chamundeshwari slayed the demon king Mahishasura. The celebration this year started on the 21st of September 2017 and will end on the 30th of September 2017, details of which can be found at the government website dedicated for the same. This year is more exciting with a few added attractions to this celebration, like the helicopter ride and many such. 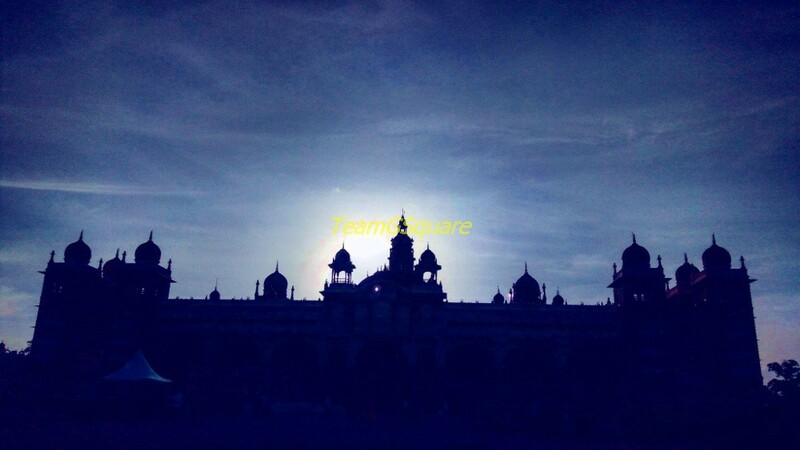 Apart from the Aane Ambari, the second most popular attraction is the beautiful illumination of Mysore Palace. The LED bulb lit Mysore Palace dazzles during night and is a feast for the eyes. The lighting timings during festive occasion is between 7 pm and 9 pm on all the ten days. Apart from Dasara, the palace is lit on all Sundays and government holidays between 7 pm and 7:45 pm. There are many other attractions around Mysore in addition to the events during the famous Mysore Dasara. 1. Chamundi Hills: This is the most important landmark of Mysore which houses temples dedicated to goddess Chamundeshwari and Lord Mahabaleshwara, considered to be the one of the earliest temples of Mysore, dating back to the 9th century. Chamundi hills is very well connected to Mysore with many city buses plying regularly between the central bus stand and Chamundi hills. The temple remains open for most times during Dasara festival, except for an hour in the afternoons and evenings. The best time to visit the hill will be early in the morning to get a glimpse of this mist clad hillock and also during evenings, when the Mysore palace is lit. The view of the lit Mysore palace from Chamundi hills is gorgeous and will make the trip to Mysore most memorable. 2. 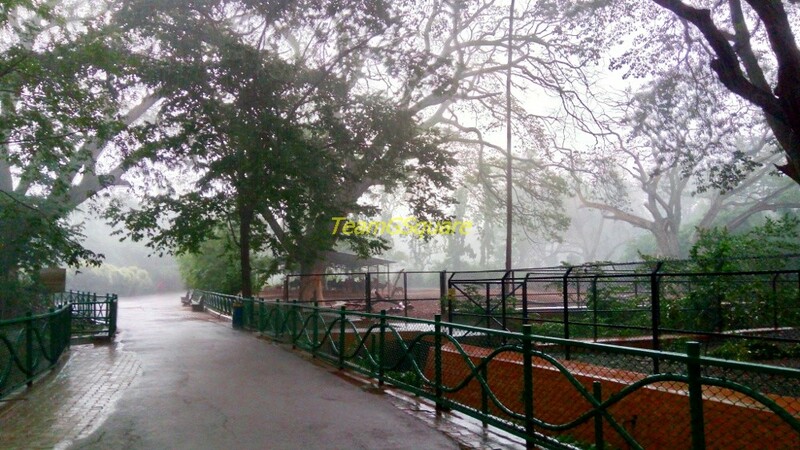 Mysore Zoo: This zoo is regarded as the most beautiful and best maintained zoo in the country. It is also considered to be the oldest of zoos to have been established in India, during the year 1892 by the Mysore King - Sri Chamarajendra Wodeyar Bahadur. The zoo is home to a few of the many exotic animals not found elsewhere in India. This is a must visit place in Mysore. 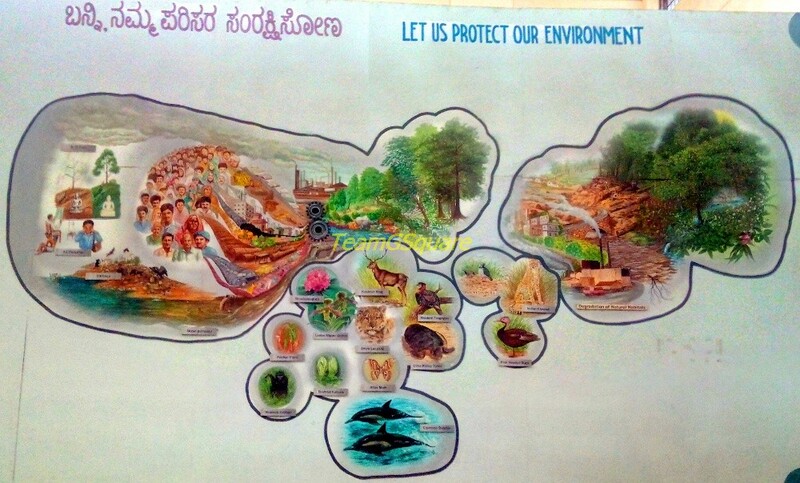 The Zoo is generally closed on Tuesdays, although during Dasara it remains open on all days. 3. Mysore Palace and Temples in the Palace complex: The Mysore palace or Amba Vilas Palace as it is called was first built in the 14th century by Yaduraya, and has been subsequently undergone various renovations and reconstructions. The current structure was built by the Mysore Maharaja Krishnaraja Wodeyar IV and was completed in 1912, after the old palace was burnt down to ashes. The palace has various exhibits of the Wodeyar kings and queens, including the famous golden howdah/ambari on display. Photography is strictly prohibited here and entry to the palace is ticketed. There are 8 temples inside the palace complex of which, the Swetha Varahaswamy temple is the earliest and belongs to the Hoysala period built around 12th century AD. Mysore is also home to many other palaces such as the Jayalakshmi Vilas Palace, Lalithamahal Palace, Jaganmohan Palace and such. 4. 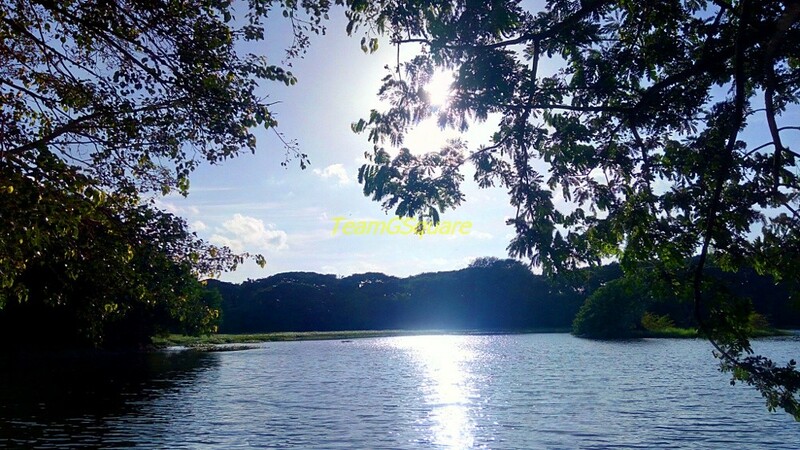 Karanji and Kukkarahalli Lakes: A visit to Mysore is incomplete without visiting these famous lakes. Both the lakes were constructed by the Wodeyar Kings during different periods, with Kukkarahalli lake being the earliest. Karanji Lake falls under the Forest department and is ticketed. 5. 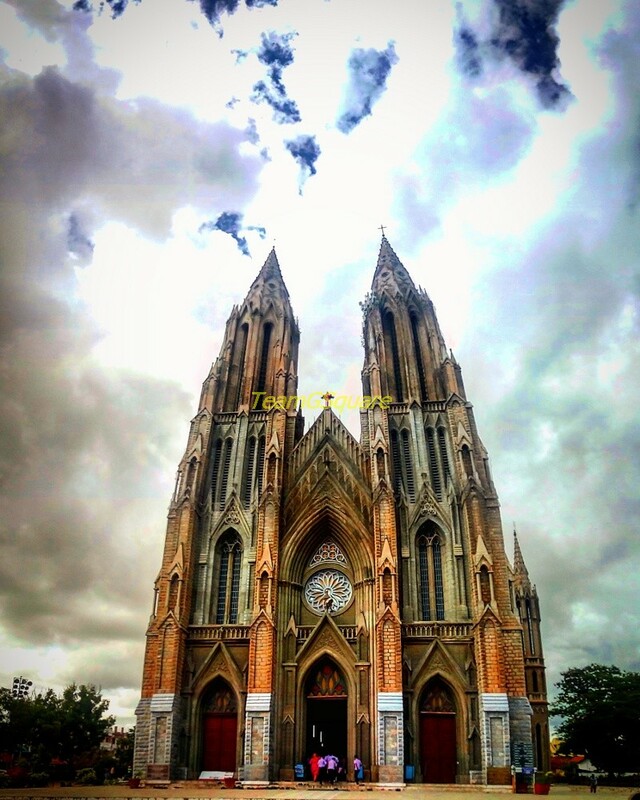 St. Philomena's Church: St. Philomena's Church is a catholic church built in the year 1936 in Neo- Gothic style and is considered to be one among the tallest Churches of Asia. This is one of the important landmarks of Mysore. 6. Mysore Silk Emporium/Factory: The silk weaving factory owned by the Government is another place worth a visit and is great for buying authentic and high quality silk products. 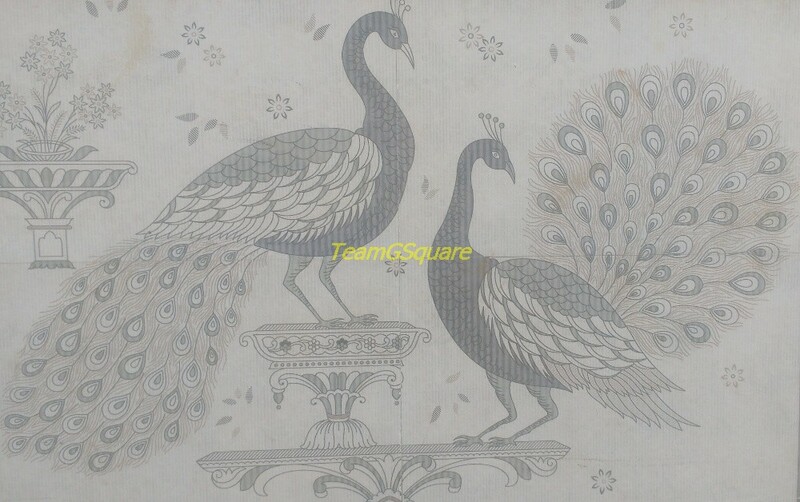 This factory was started in 1912 by the Mysore Maharaja Krishnaraja Wodeyar IV for meeting the requirements of the Royal family. This later developed into a full fledged business post independence after it was was transferred to the Mysore Sericulture Department. 7. Regional Museum of Natural History (RMNH): This place is a must visit for young kids simply because it is really interesting and educative. The RMNH, Mysore is the southern regional office of the National Museum of Natural History. The entry to the museum and parking is free.The other museums in town are the State Government Museum and the Wax Museum which one can also plan to visit. 8. GRS Fantasy Park: This park is an amusement water park located in the outskirts of Mysore (about 10 km). It is a great place for a full day of adventure and fun. 9. 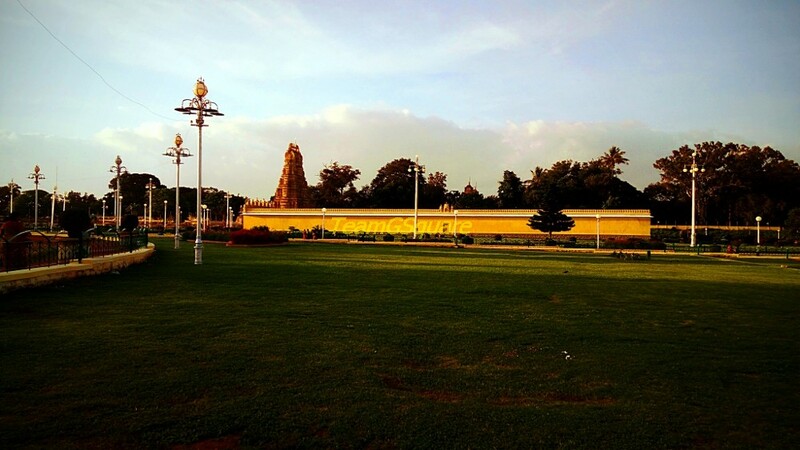 Brindavan Gardens: These gardens are located at a distance of about 21 km from Mysore and is developed around the KRS dam built across river Kaveri (lifeline of South Karnataka). Coming under the taluk of Srirangapatna of Mandya district, it is jointly maintained by the Cauvery Niravari Nigam and KSTDC. The musical lit fountains in the evenings are a major attraction of this park. 10. Ranganathittu Bird Sanctuary: This beautiful bird sanctuary and scenic spot is home to many avian species and is located about 15 km from Mysore on the banks of river Kaveri. The Karnataka Forest Department maintains this sanctuary and operates river safaris to take one around the river for sighting birds. 11. Balmuri and Edmuri Falls: These waterfalls are located about 24 km from Mysore near the KRS dam. These are formed by a man-made check dam. This is a good spot to enjoy playing in the water and quite safe to swim, although with caution. Edumuri, situated close by to Balmuri falls is generally less visited. 12. Mysore Sandal Factory: This factory started in 1916 by the Mysore Maharaja along with Diwan Sir M Visvesvaraya is a one stop solution for all sandal products. The sandal products can at also be purchased at registered art and craft stores. 13. Shuka Vana Aviary: This rare aviary in the premises of SGS Ashram is a rehabilitation center for birds and is being maintained by Sri Ganapathy Sachchinanda Swamiji. It is home to a large variety of colorful species of parrots from all over the world. The experience of interacting with these birds, some of which are free to fly around is quite unique . Entry is free and photography inside the parrot park is strictly prohibited, although one can get photographed with a group of birds at a fixed price. This place is surely worth a visit. 14. Nanjangud: Nanjangud town is located about 25 km from Mysore and is home to one of the largest temple of Karnataka, Sri Srikanteshwara Temple. 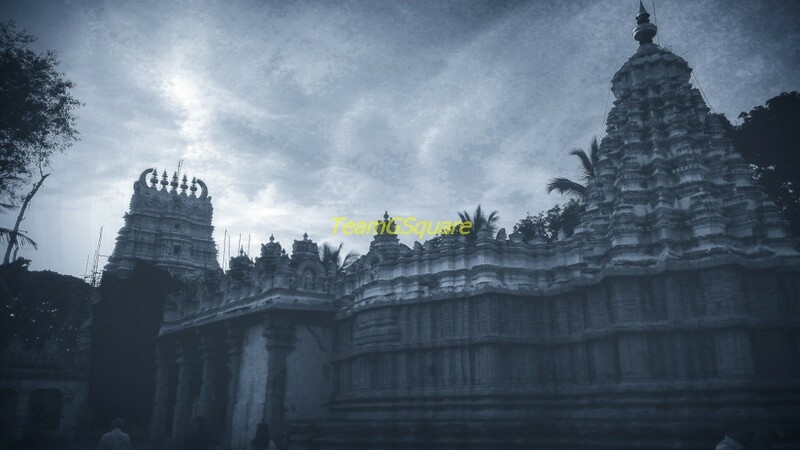 This temple is dedicated to Lord Shiva in the form of a Linga and is believed to have been built in 11th century AD by the Cholas and later improvised by the Hoysalas, the Vijayanagara and Wodeyar kings. 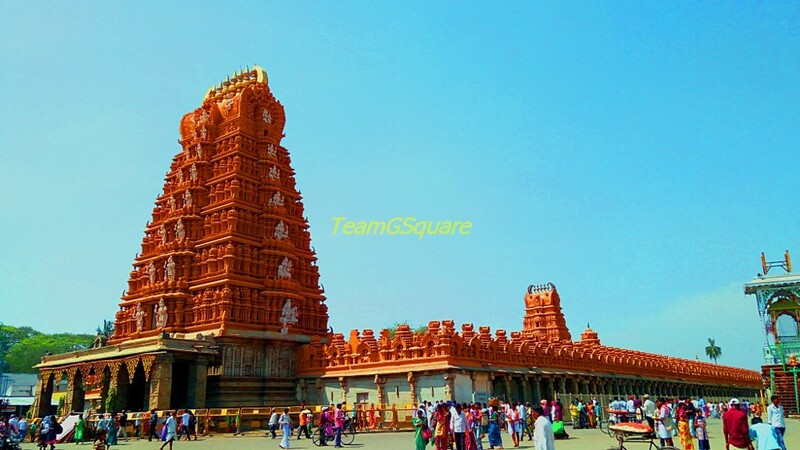 This beautiful temple set on the banks of river Kapila is a must visit place around Mysore. 15. Srirangapatna: Srirangapatna town is located about 14 km from Mysore and is an erstwhile Agrahara since the time of the Ganga dynasty, who also built the temple of Lord Ranganathaswamy. This town was under the rule of the Hoysalas, Vijayanagara kings, Wodeyars, Tippu, and later again fell into the hands of the Wodeyars. There are many temples, tombs, a fort and bridge and a few British bungalows here. 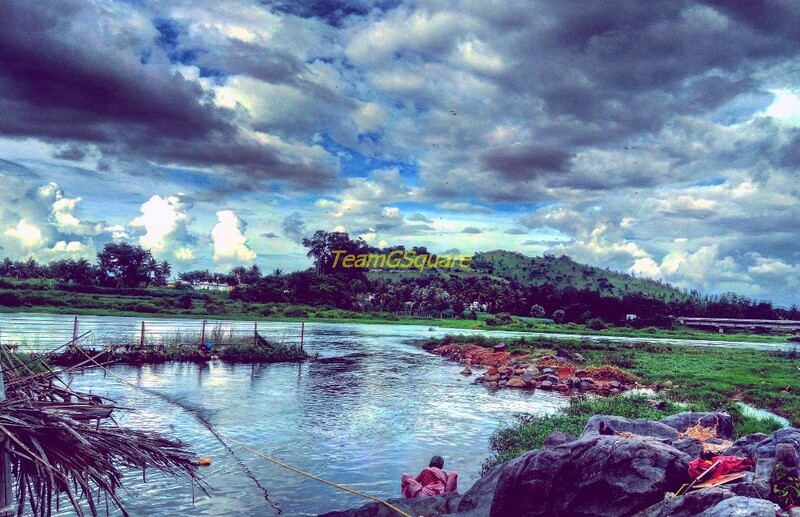 This town on the banks of river Kaveri is considered to be one among the holy places in Karnataka. How to reach Mysore: Mysore is very well connected by road and rail to other parts of the country. It has a functional airport with regular flights to Chennai only as of now, with mega expansion plans in the future. Where to stay in Mysore: There are umpteen number of options available for accommodation in Mysore, suiting all budget classes. The Lalitha Mahal Palace Hotel is converted into a luxury heritage hotel and is maintained by the Indian Tourism Development Corporation. Hotels Pai Vista, Park Lane, Roopa, Pai Viceroy, and Maurya Residency to name a few are the best hotels situated in close proximity to the the Mysore Palace as well as the bus stand. Where to eat in Mysore: Although most of the above mentioned hotels provide complimentary break fast, one can surely try and get the real taste of Mysore by heading to Hotel Mylari which serves the best Mysore Masala Dosa or Hotel Siddhartha which reflects the authentic taste of Mysore. For Lunch, head to High Park Restaurant for a unique revolving roof-top buffet with amazing views, with the other good choices being Hotel Nalapak which offers quite a good range of vegetarian meals and Hotel RRR which is undoubtedly the best place in Mysore for non-vegetarian meals. Mysore also offers a rich variety of street food during night. 1. 101 places to visit around Bangalore within 125km. 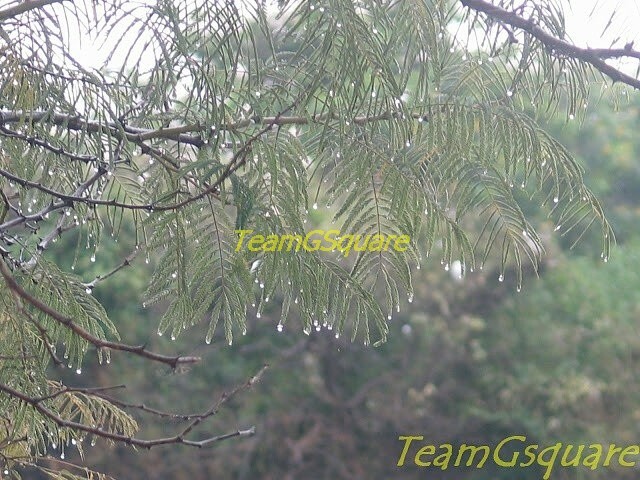 Love all pics. Am apt post for dussera. Nice informative post. Amazing pics.